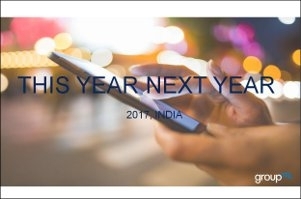 A look at GroupM India's TYNY ('This Year, Next Year') 2019 Report. GroupM, the media investment group of WPP, today announced their advertising expenditure (adex) forecasts for 2019. As per the GroupM futures report 'This Year, Next Year' (TYNY) 2019, India tops the list as the fastest growing major ad market in the world. TYNY forecasts India's advertising investment to reach an estimated Rs. 80,678 crores this year. This represents strong estimated growth of 14%, for the calendar year 2019 (approx. 2x of the GDP growth). Speaking on the TYNY 2019 report, Sam Singh, CEO - GroupM South Asia said, "While we are estimating the global advertising expenditure to grow at 3.6%, India would be witnessing the fastest growth at 14% and reach an estimated Rs.80,578 crores. This would be approximately 2x of the estimated GDP growth in India. This also makes India the 3rd largest adex growth to the worldwide ad spends. 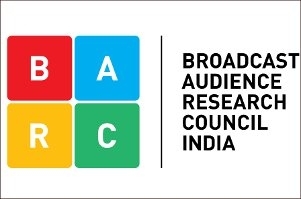 We expect sustained and stable media investment growth across categories in India"
Prasanth Kumar, Chief Operating Officer - GroupM South Asia said, "Indian ad spends CAGR between 2014-2018 is at 13% and 2019 expected to witness a higher growth. India is unique among key markets and will witness growth in all media segments and not just digital. Offline media is poised to continue to grow and will contribute to being around 80% of ad spends in 2019." Tushar Vyas, President Growth and Transformation - GroupM South Asia said, "With the surge of technology, better insights and relevant engagement across different platforms, we are expecting marketers to build superior consumer connections for brands. 2019 will witness a faster growth in digital and we are expecting digital to be at 20% media mix. As we are witnessing one in every three Indians digitally connected, we can expect the convergence of data, digital and content to deliver seamless and powerful solutions to brands as well as constantly adding inventive practices into the market." The TYNY report is the most comprehensive understanding of the estimated media spends by advertisers in the current year. It also highlights some of the industry sectors that will have a major effect on advertising spends across media.